Existing patterns of urbanization are unsustainable in the long run. Current development practices consume enormous amounts of land and resources, damage local ecosystems, produce pollutants, create huge inequalities between groups of people and undermine local community and quality of life. Unfortunately planning has itself led to many unsustainable development practices. Planning for Sustainability presents a straightforward, systematic analysis of how more sustainable cities and towns can be brought about. It does so in a highly readable manner that considers in turn each scale of planning: international, national, regional, municipal, neighbourhood, site and building. 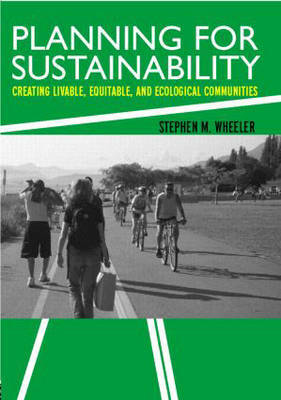 In the process it illustrates how sustainability initiatives at these different scales interrelate and how an overall framework can be developed for more livable communities.